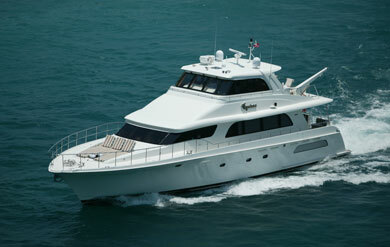 Motor yacht EQUINOX measures 24,7m (81ft) in length, was designed by Tom Fexas and built by Choey Lee in 2004. 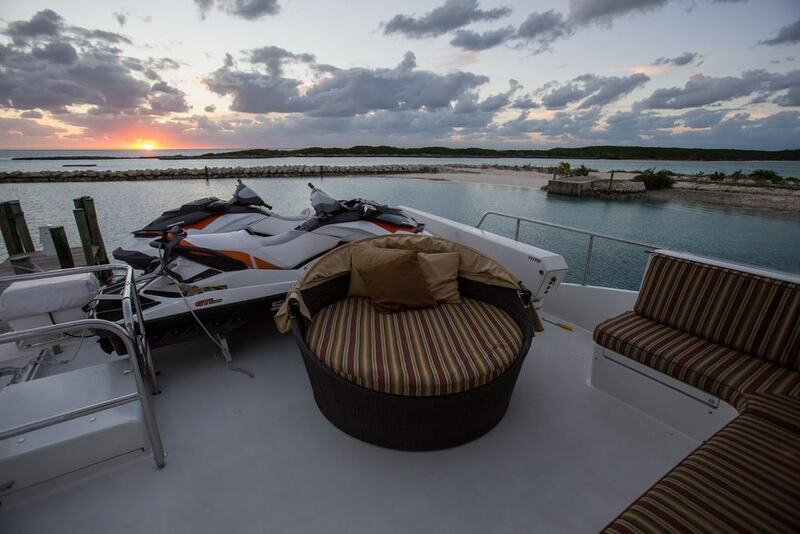 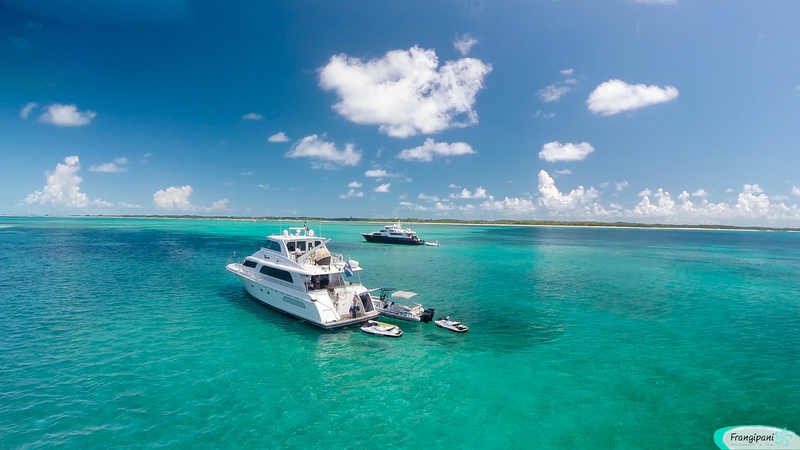 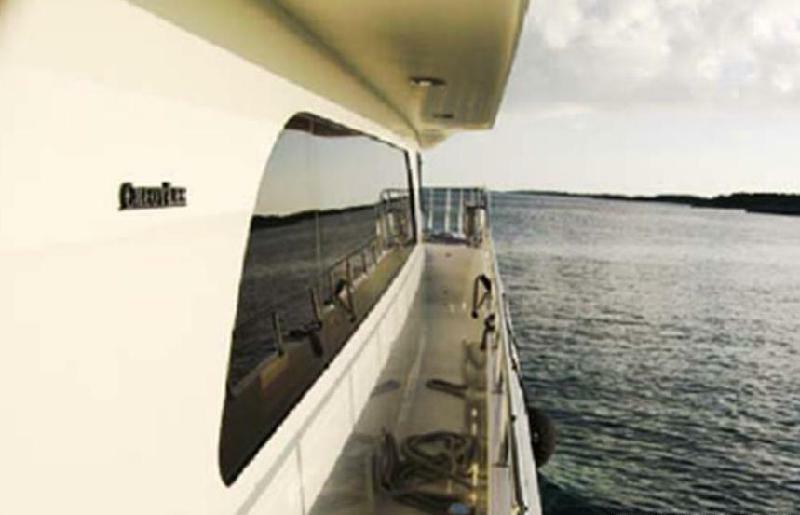 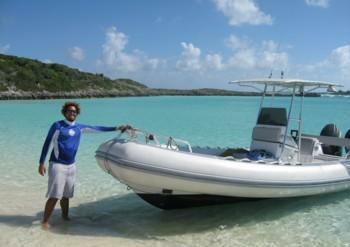 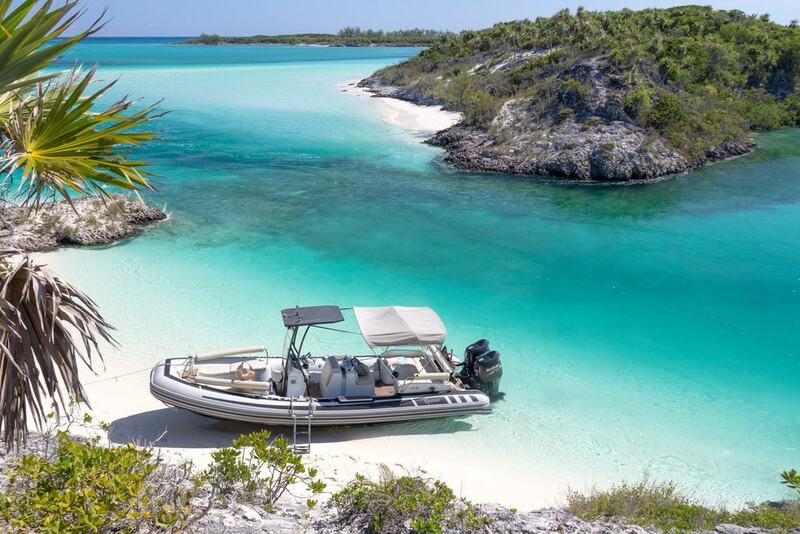 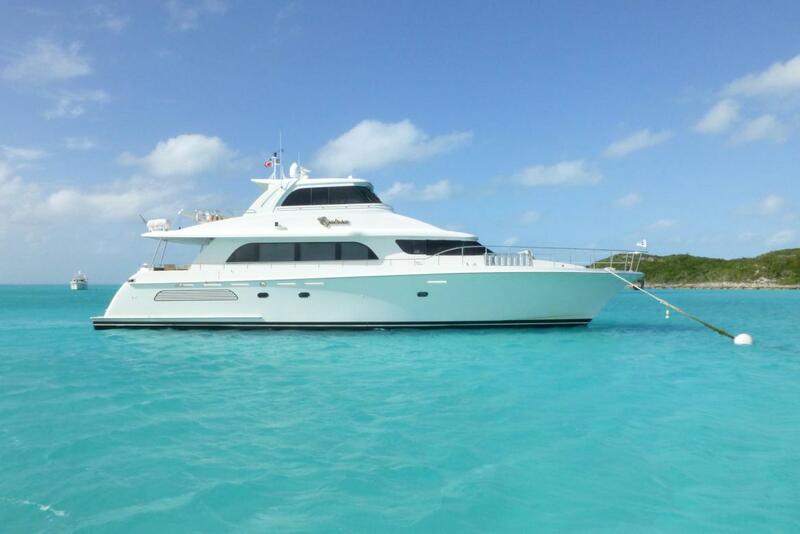 Accommodating 6 guests in 3 en-suite cabins the yacht is available for charter in the beautiful Bahamas. 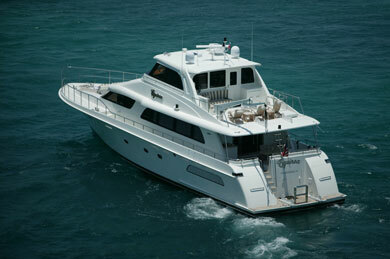 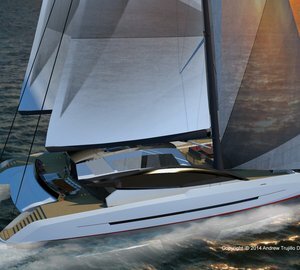 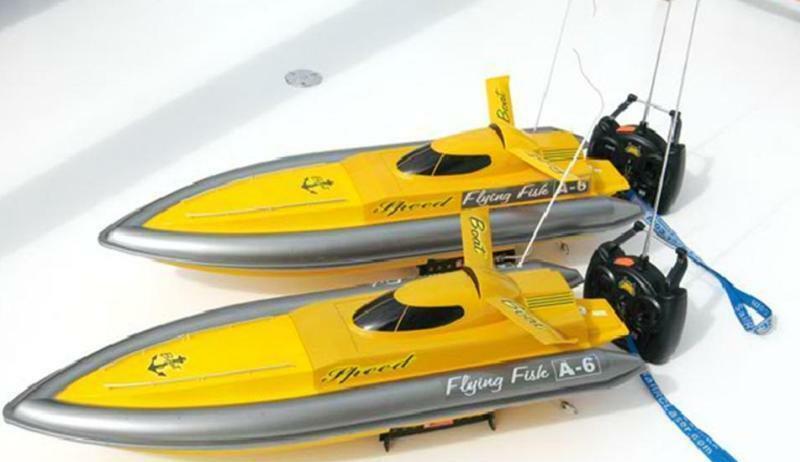 She has a beam of 6,4m (21ft) and draft of 1,7m (5ft), she is powered by twin CAT 1400HP engines capable of 15 – 16 knots. 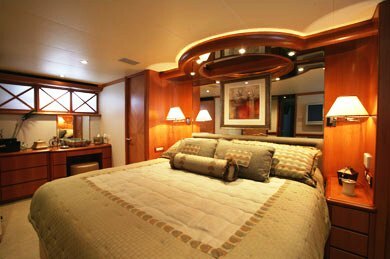 Charter yacht EQUINOX has a stylish and elegant interior featuring warm burl and solid cherry woods, subtle neutral toned soft goods and fine accent furnishings. 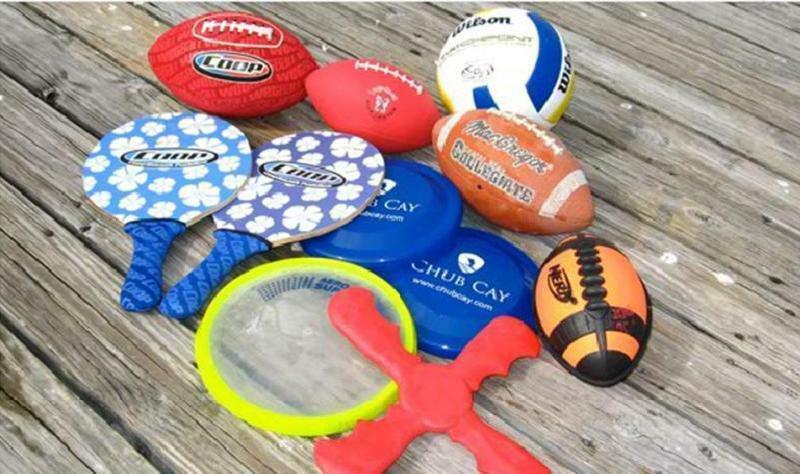 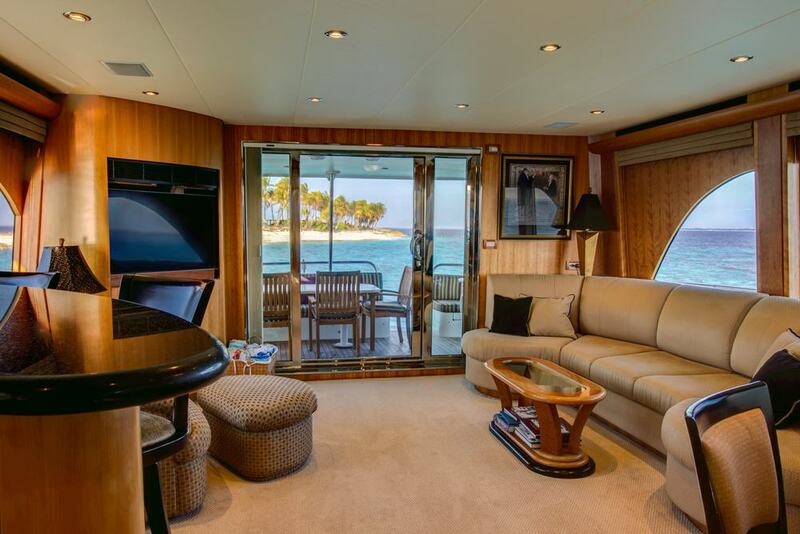 A state of the art entertainment system will ensure the ultimate in indoor entertainment. 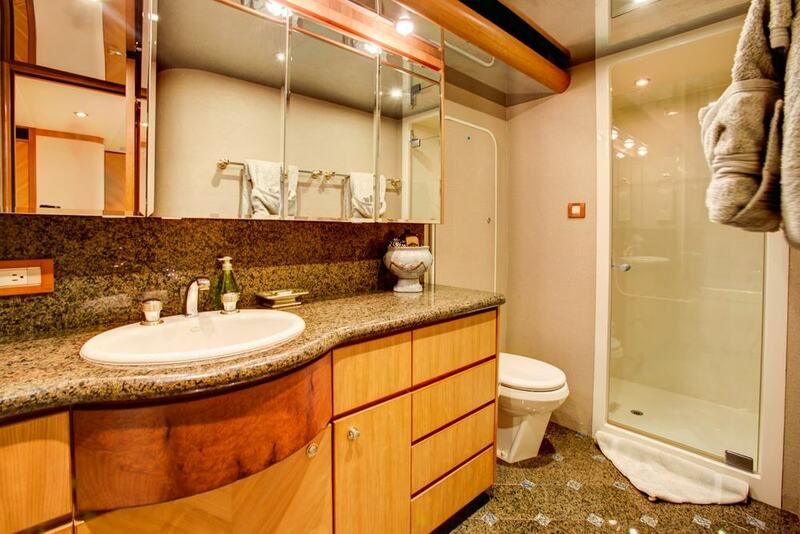 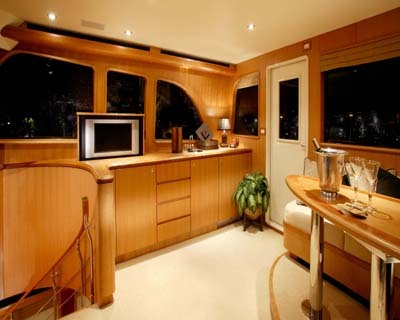 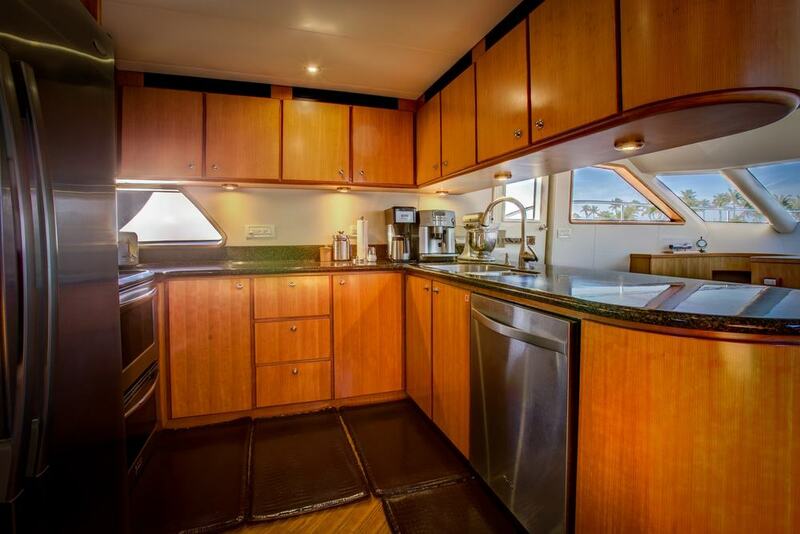 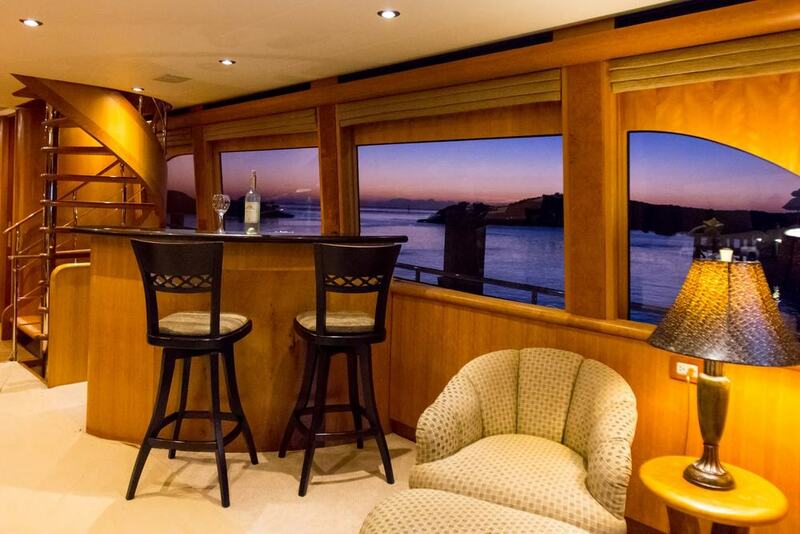 M/Y EQUINOX provides large surrounding windows creating an open airy feel. 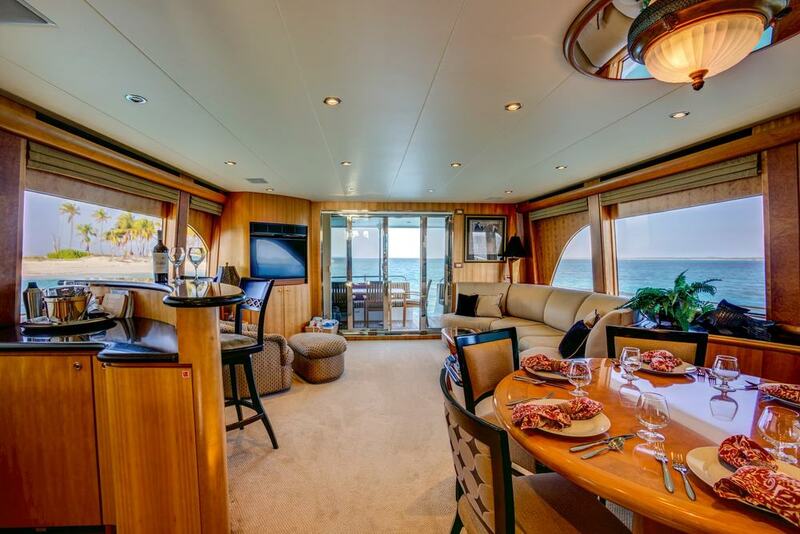 The salon and dining are an open plan with the salon aft boasting a U shaped sofa and occasional chairs, a marble wet bar with seating is on the starboard side, ideal for an aperitif. 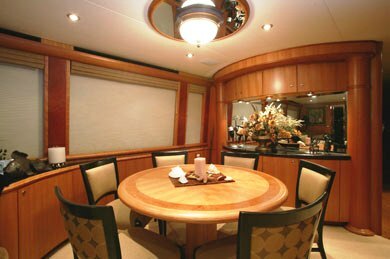 The formal dining table sits on the port side forward of the salon, an access window to the galley gives the option of a la carte or buffet dining. 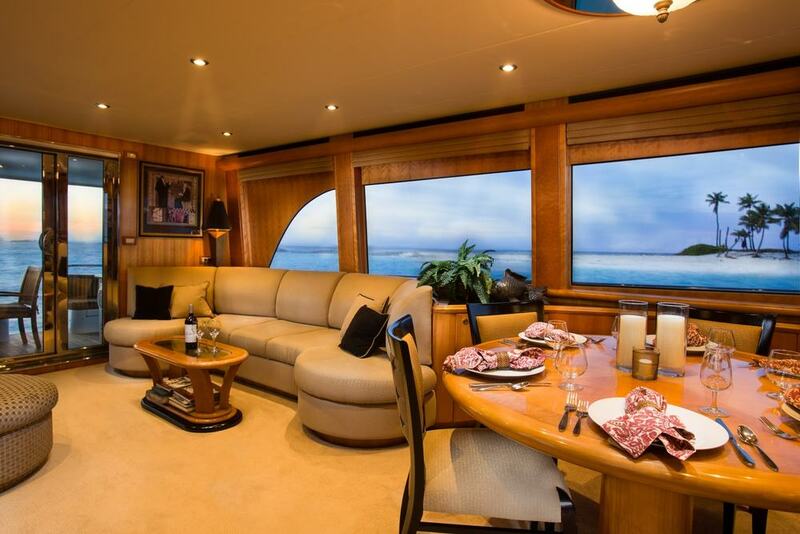 Guests wishing for a more informal indoor alternative may wish to dine at the forward country style table. 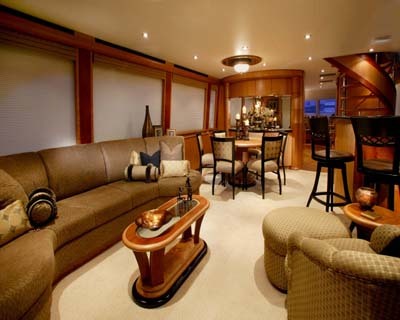 An impressive spiral staircase leads from the salon up to the pilot house and additional seating areas. 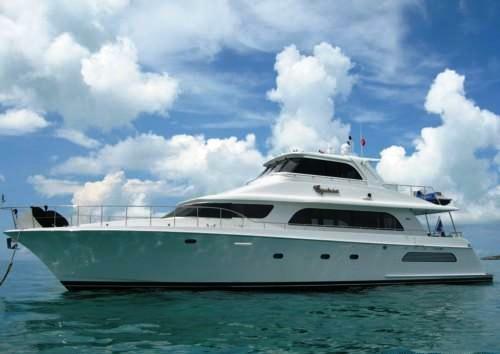 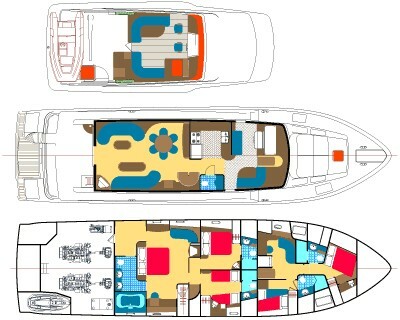 Luxury yacht EQUINOX has plenty of exterior deck areas to enjoy the warm tropical weather. 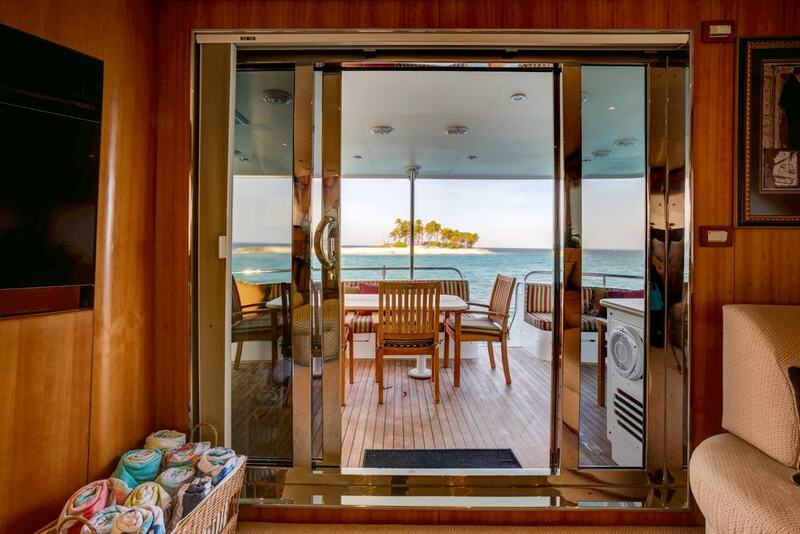 Aft and adjacent to the salon, a shaded teak deck offers an alfresco dining option and access to the full beam swim platform, making water access for the tender and many water toys easy. 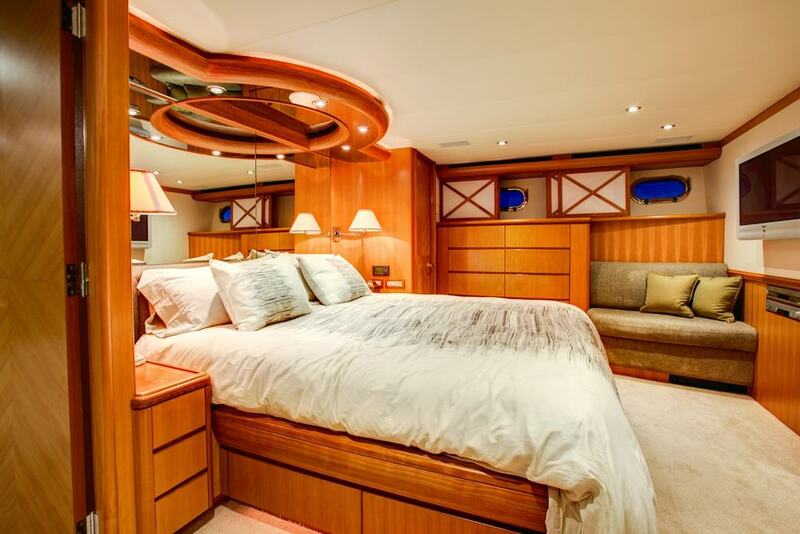 Side decks wrap around the yacht completely. 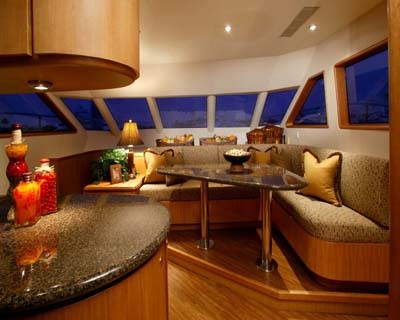 Aft of the pilothouse a sundeck is an ideal place to relax and soak up the sun. 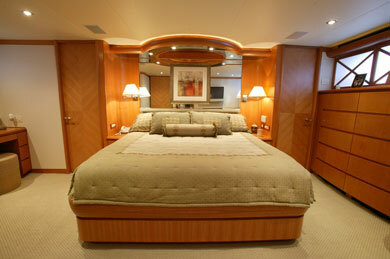 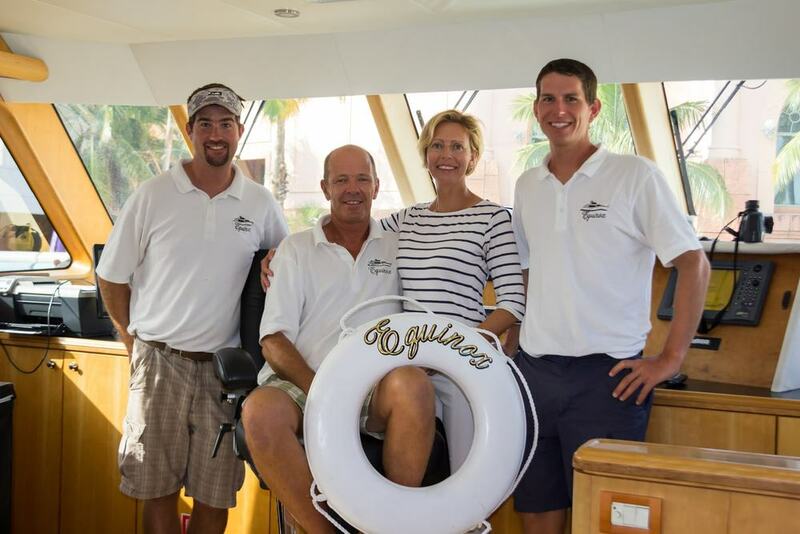 Charter yacht EQUINOX has stylish accommodation for up to 6 guests in 3 spacious cabins. 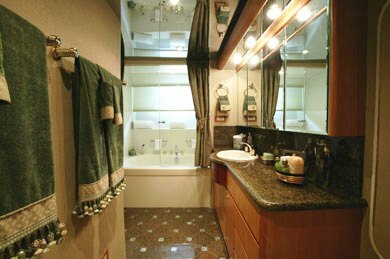 The master suite offers a walk around king size bed, 2 cedar lined walk-in closets, entertainment system with flat screen TV, Direct TV, DVD, CD and en-suite marble tiled facilities with shower and Spa Pool tub. 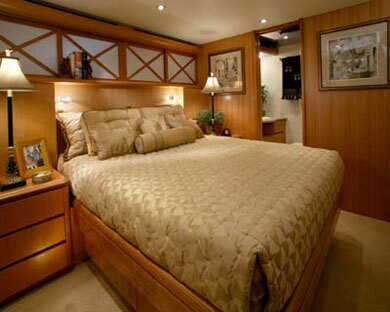 The VIP cabin has a queen size bed, cedar lined closet, TV, stereo entertainment and en-suite facilities with shower. 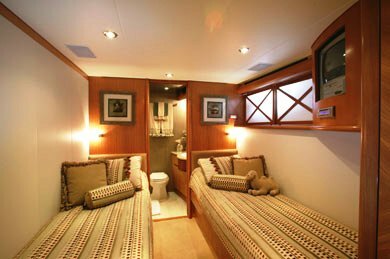 The twin guests cabin features 2 single beds (convertible into one large bed), TV, stereo entertainment and en-suite facilities with shower. 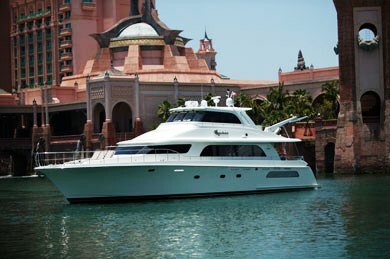 Motor Yacht EQUINOX offers a great array of indoor and outdoor activities including: 24ft Tender with twin 100HP Engines, 2 Wave Runners, Wake Boars, Knee Board, Water Skis, Snorkel Gear, Fishing Equipment, 2 Remote Toy Sail Boats, 2 Remote Toy Power Boats, Beach Toys, TV In Salon and all Cabins, Hair dryers in each cabin, SAT TV, DVD, DVD Library, I-Pod Dock, Wi-Fi, BBQ, Board Games.